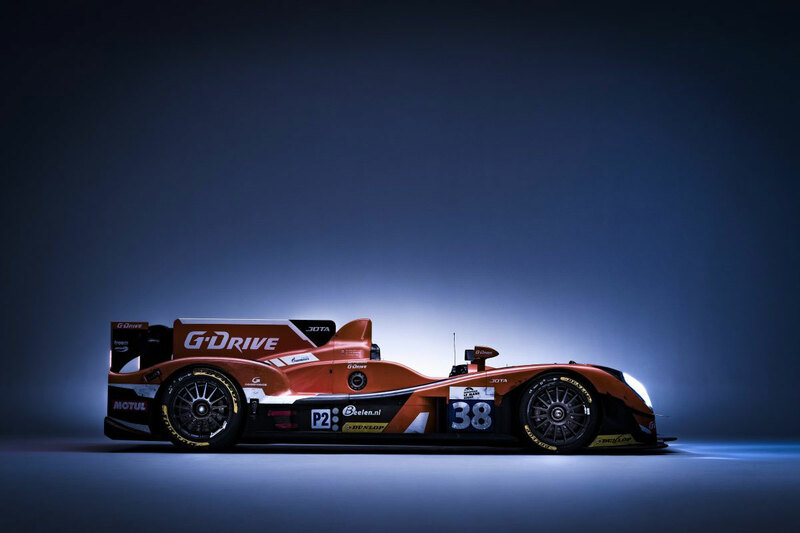 Built around its successful motorsport team the Jota Group has used the skills and experience that winning at Le Mans brings to develop a business that spans Jota Sport which designs, builds and supports race-winning GT, LMP2 and LMP1 class cars; Jota Aviation, a successful aviation charter business, and Jota Advanced Engineering, a relatively new, but dynamic sub-contract machining facility. 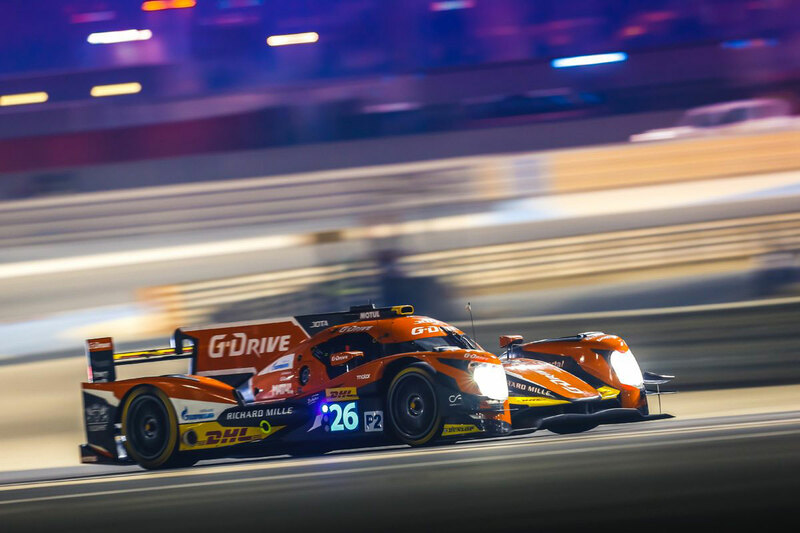 The driving force behind the Group’s success is its passion for everything it does, whether preparing a race-winning Le Mans car, flying people and cargo around the globe or precision machining exotic materials. The group’s aim is simply to be the best, by focusing on attention to detail and delivering on its promises.. While Jota Advanced Engineering is the latest name to join the Group, machining has been a part of the business for many years. 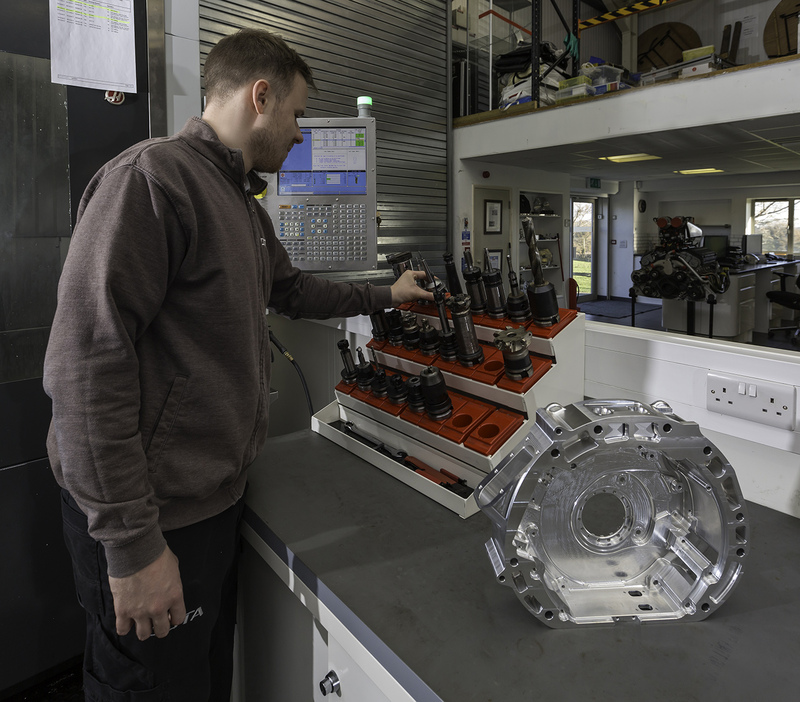 Initially the race team technicians used manual machines to create one-off bespoke parts on, this developed into a small machine shop contained in the race teams workshop. 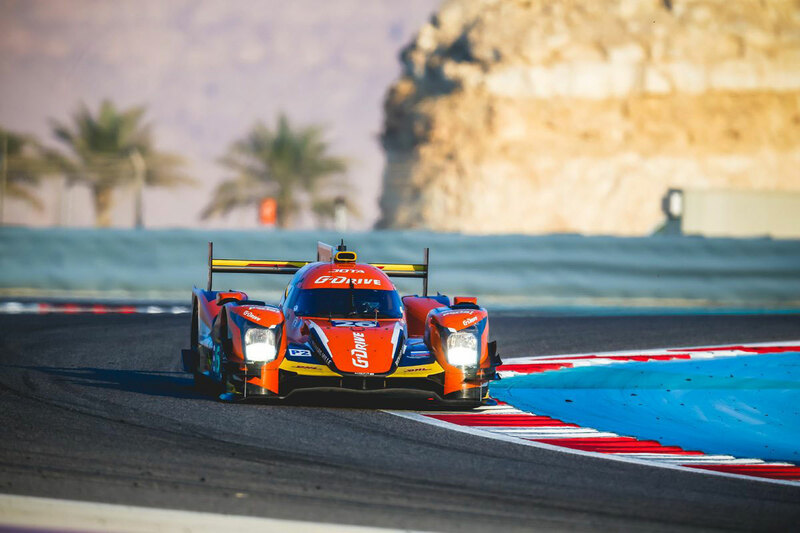 The growth in demand for more complex parts for its own cars, along with opportunities in the sub-contract machining sector, saw a need for expansion and Jota Advanced Engineering was created. Already accredited with ISO9001 Jota Advanced Engineering is working towards further accreditations in the automotive sector that will assist it to further expand its already nationwide customer base from the Automotive, motorsport aerospace and power generation sectors. “We have built the business around the Group’s common goal of delivering results, in our case drawing on our precision engineering skills to create tight tolerance work, often in difficult to machine materials, and in many cases taking on work that others didn’t want to do,” says Ryan Goodger, Director, Jota Advanced Engineering. 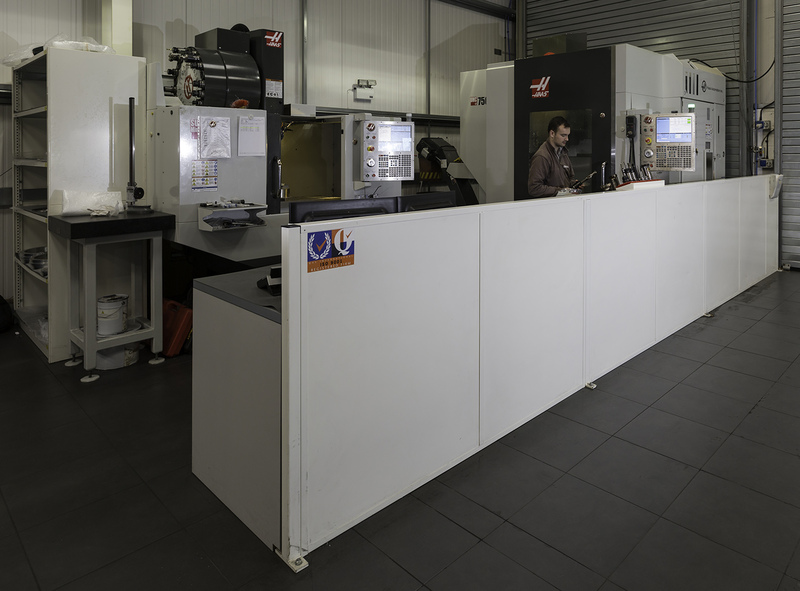 In order to achieve this the company has invested in a range of high-tech machine tools, including multi-axis turning centres with live tooling and a five-axis machining centre. These are supported by the latest in CADCAM and production control software, along with a team of highly skilled engineers. With the growth in the machining business and number of machines, came a requirement for more tools and workholding, which in turn needed to be stored in a planned and efficient manner. 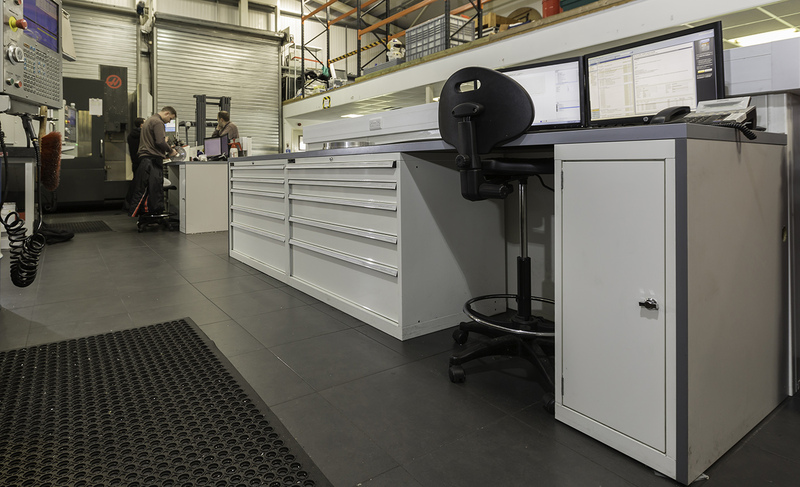 System Store Solutions worked closely with Ryan and his team to develop a layout that met the exact needs of Jota Advanced Engineering, making several visits to discuss all of the various options and providing a flexible process in order to deliver the best available solution. 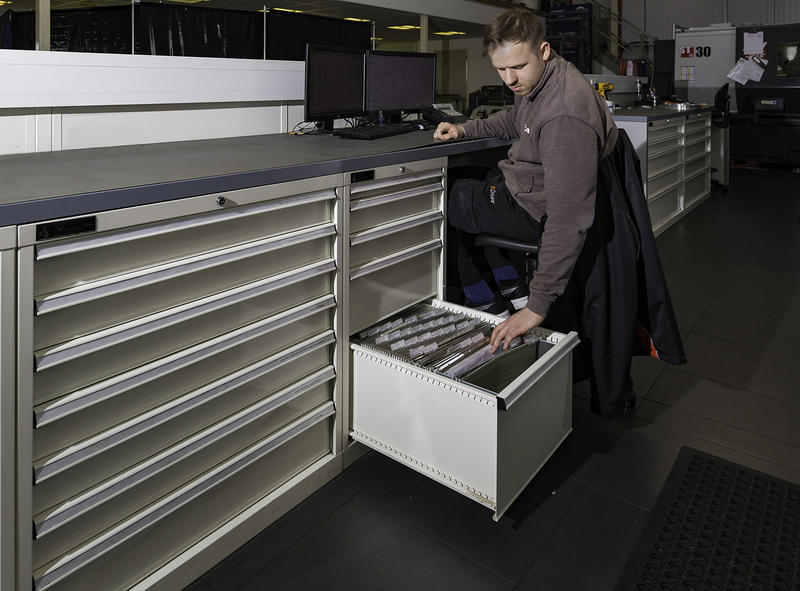 This included a series of Fami drawer systems with variable partitions that can be adjusted to store anything from, filing paperwork, small hand tools and cutting tools, through to large fixtures and jaws for the machine tools. Workstations were built into this run of drawers allowing technicians to work on computers while next to the machines. 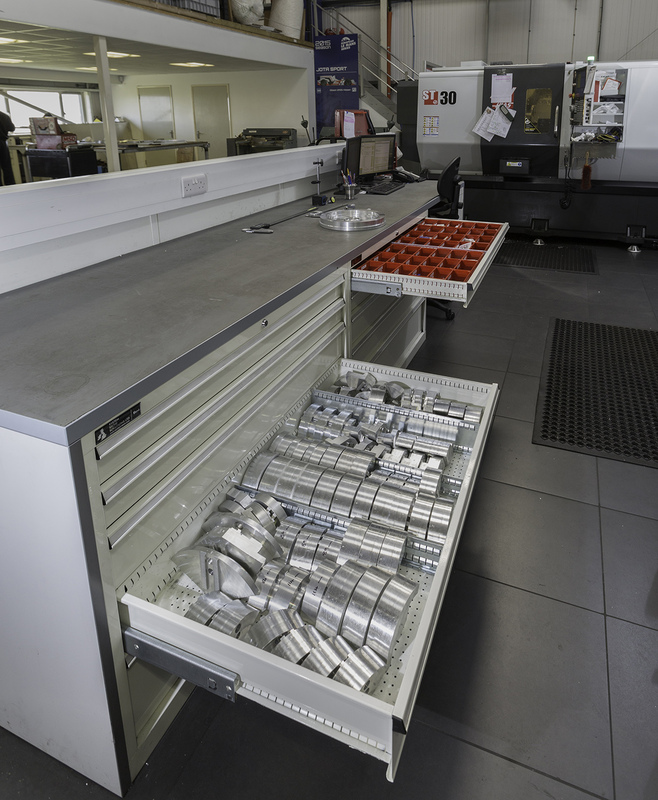 Worktop tool storage was also integrated into the system and the finishing touches were a series of shelving for larger items and partitioning to separate the machining area from assembly and administration in the open plan workshop.